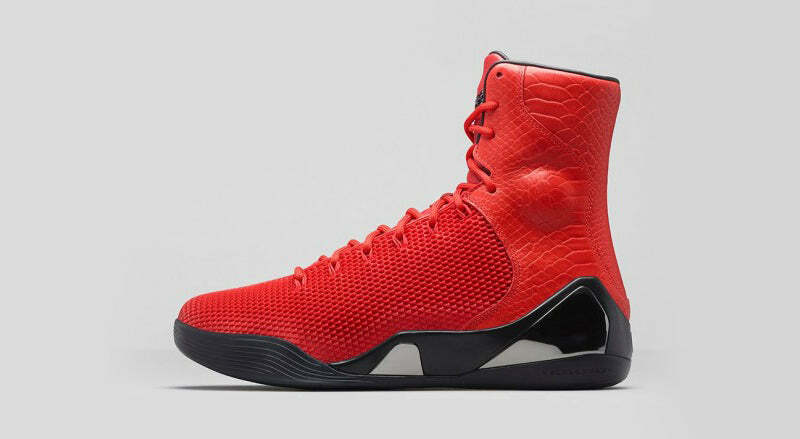 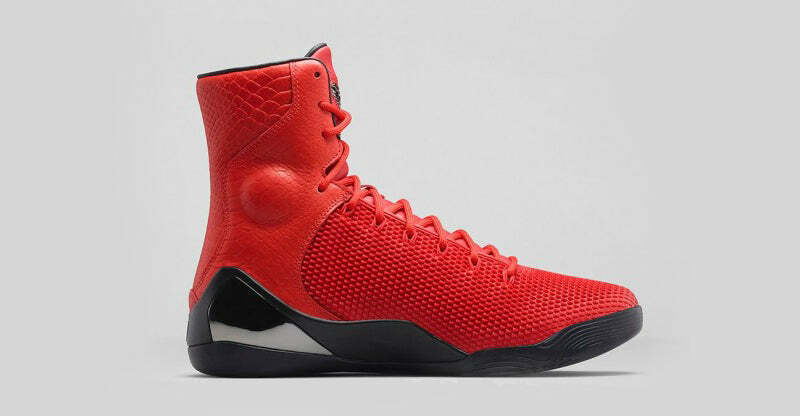 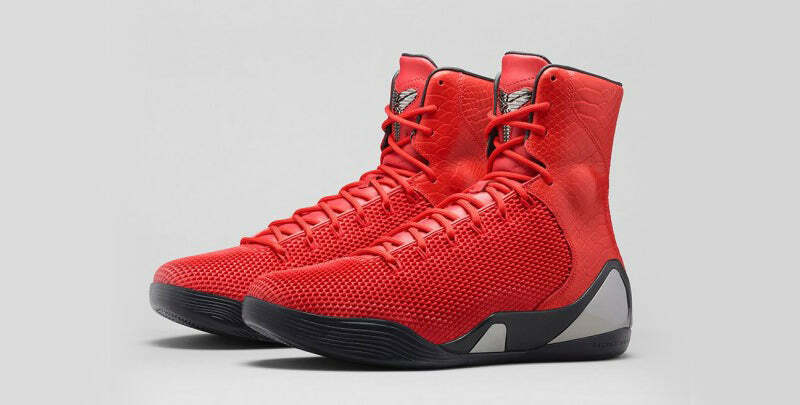 Nike introduce the Kobe IX High EXT “Challenge Red” which sports a curiously similar look to the highly coveted Air Yeezy 2 “Red October”. 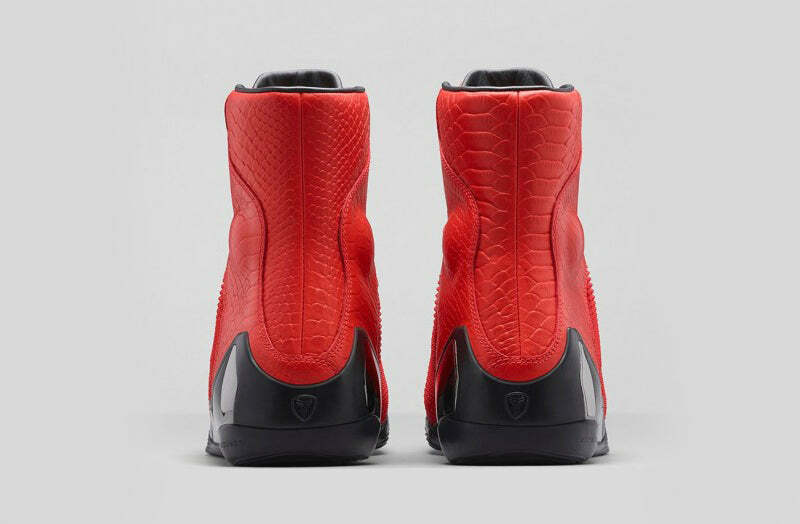 With a red faux snakeskin heel section and synthetic pyramid textured material on the toe and fore foot. 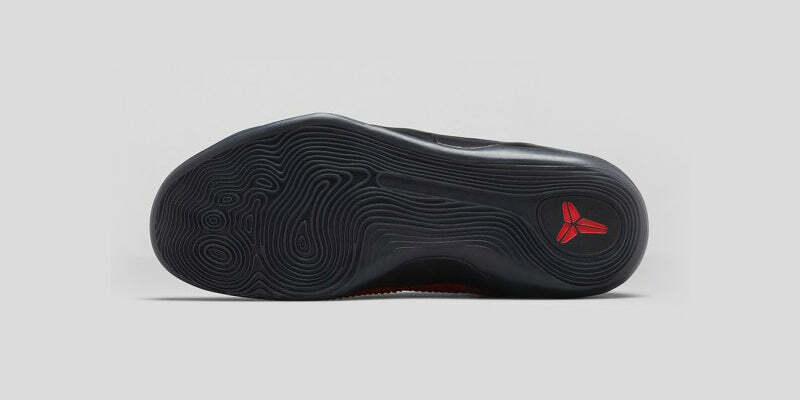 Sitting upon a black outsole and black plastic heel counter with a mirrored inlay. 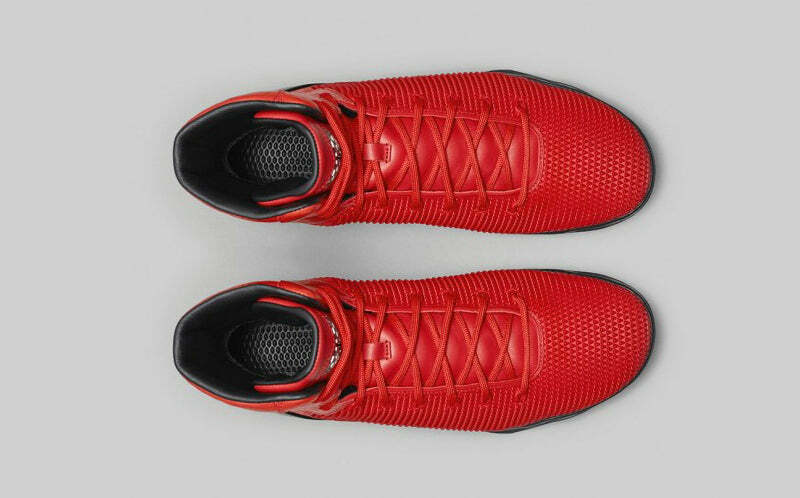 Signed off with a metallic Kobe logo on the tongue.